Do you know why are the Chinese strapping Xiaomi’s Mi Band 3 on a roll of toilet paper? Does toilet paper have a heartbeat? Sounds weird and impossible, right? But, your fitness tracker thinks otherwise. 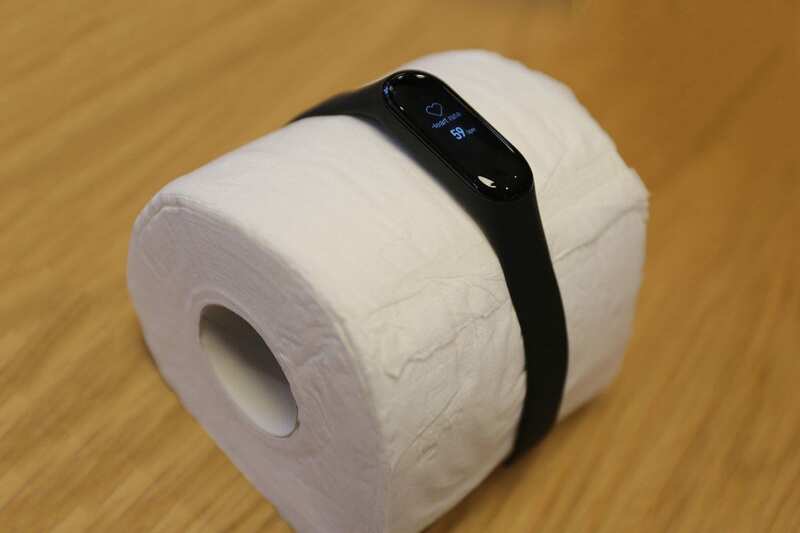 Apparently, owners of Xiaomi Mi Band 3 fitness trackers in China have been strapping their fitness trackers onto rolls of toilet paper to detect a heartbeat. And to their surprise, these devices are displaying a heart rate when wrapped around a toilet roll. Reports of toilet paper with heartbeats started on China’s social network site Weibo, where people quickly started posting videos and images of their Mi Bands doing the phenomenon. The experiment was just not limited to toilet rolls but was also extended to a few other cylindrical objects like cans, bottles, and appendages of stuffed animals. Abacus tested it out in a video different types of fitness trackers including the Apple Watch Series 4 and an Android Wear smartwatch. The test showed that placing a Xiaomi Mi Band 3 on a roll of toilet paper clocked in with a heart rate of 81 BPM, while a coffee mug had 72 BPM and a banana showed 77 BPM. The same experiment was carried out using an Apple Watch Series 4 and a Ticwatch, an Android Wear smartwatch. Both displayed a heart rate, but it was much slower than Mi Band. Expert PPG researchers confirmed that PPG sensors can easily misread and misinterpret “heart rates” when placed on an object that can reflect light. Objects can reflect lights and confuse the tracking sensors into thinking that there is blood flowing through them. Since bananas and mugs have surfaces that are more reflective than toilet paper, those would consistently yield a quicker heart rate than the toilet paper. Useless tests. It should be tested on humans. Show us how it’s performing on humans, error rate etc. They work, and have been tested in other reviews. This article aimed to show a quirk of the technology used i them.